John Coustos Aged 43 years. John Coustos, a jeweller and dealer in precious stones, was born in Berne, Switzerland, relocating to England as a child and becoming a naturalized citizen. 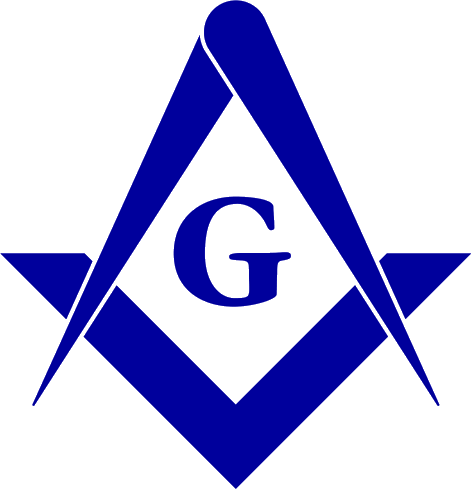 His masonic career is noteworthy for two events. His initiation in 1730 is the first recorded instance of the presentation of a pair of white gloves to a new initiate, and his persecution by the Catholic Inquisition is the first, if not only, instance of an attack by that Holy Office on an English freemason. Coustos returned to England and published, in 1746, an account of his captivity, The Sufferings of John Coustos..., reprinted at Birmingham in 1790. Editions in German and French were published in 1756, as were two editions in Boston in 1803 and 1817. 1. Cf. :Kennings Masonic Cyclopaedia, A.F.A. Woodford. London : George Kenning, 1878. Note reference to his arrest on 14 March, 1743, reference to "one Mouton, a French jeweller" and claim that Coustos "came home in one of our [British] men-of-war." 2. Cf. : Scarlet Book of Free Masonry, M. W. Redding. New York : Redding & Co., 1908. ch. iii, pp. 81-126. Note spelling of "Koustos" and claim that Moulton was tortured and released to subsequently escape with Coustos on the Damietta. 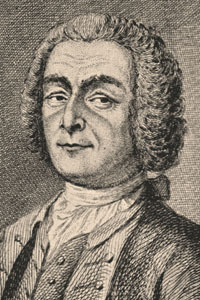 Redding also dates Coustos' arrival in London as 15 December 1742. 3. Coils Masonic Encyclopedia, Henry Wilson Coul. Richmond, Virginia : Macoy Publishing & Masonic Suppy Co., Inc., 1996. p. 56. Source: AQC, "Trial of John Coustos by the Inquisition," with original documents of the Inquisition at Lisbon, [ trans. by Mr. A. Walford from originals in the Arquivo Nacional da Torre do Tombo, Lisbon: Inquisição de Lisboa Processo No. 10115.] vol. lxvi (1954) pp. 107-123. ; Vatcher, Dr. S. "John Coustos and the Portuguese Inquisition" vol. lxxxi (1968) pp. 9-87 ; McLeod, W. "John Coustos: His Lodges and his Book" vol. xcii (1979) ; McLeod, W. "More Light on John Coustos" vol. xcv (1982) . Also see Wallace McLeod, Sufferings of John Coustos. Portrait: Albert F. Calvert, The Grand Lodge of England 1717-1917. being an account of 200 years of English Freemasonry . Henry Jenkins Limited Aerundel Place, Haymarkwet, S.W.1. MCMXVII. plate 81. See: Coustos, John The sufferings of John Coustos, for free-masonry, and for his refusing to turn Roman Catholic, in the inquisition at Lisbon; where he was sentenc'd, during four years, to the galley; and afterwards releas'd ... : To which is annex'd, The origin of the inquisition, with its establishment in various countries. ... / Extracted from a great variety of the most approved authors. Enrich'd with sculptures, design'd by Mr. Boitard. London : printed by W. Strahan, for the author, 1746 .l, , 400p.,  leaves of plates (3 fold.) : ill. : port ; 21cm. (8vo.) Boitard, Louis Pierre, d. 1770 [ill.], Mylton, Richd. [signer], Strahan, William, 1715-1785 [printer].